Anna Garde was born in Grenoble, France. From a family of musicians, Anna quickly showed interest for classical music and began playing the cello at the age of 3. 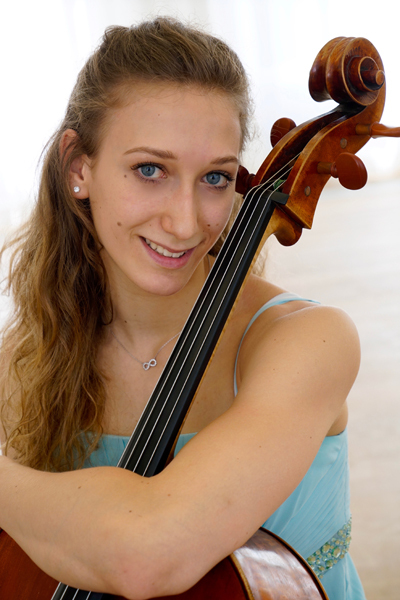 Anna later studied the cello at the Regional Conservatories of Grenoble and Toulon, and in 2012 she moved to Paris to study with Helene Dautry at the Regional Conservatory of Paris, where she received her Musical Studies Diploma (DEM) at the age of 14. Anna moved to London in 2014, where she entered the Junior Royal Academy of Music, studying with Penny Driver and in 2016 she was awarded a scholarship to begin undergraduate studies at the Guildhall School of Music & Drama, in the class of Louise Hopkins. Anna is currently in second year in the class of Rebecca Gilliver. 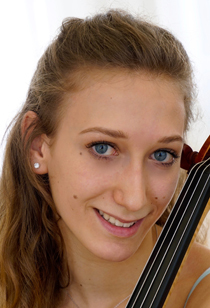 She was cello prizewinner (1st prize with honor and congratulations) three times at the Vatelot-Rampal Competition, and won 2 gold medals at the Mouans-Sartoux competition. Recently she was finalist of Les Musicales du Centre competition in Paris and she has been selected to participate in an intensive masterclass in May 2018 at the Berlin Philharmonic with Martin Löhr. For two years, she was involved in the festival of the Young Orchestra of Royan, and received intensive orchestra sessions with the conductor François Xavier Roth. She has performed frequently as soloist, chamber and orchestra musician in France and London, in major venues such as Barbican Hall, Milton Court, Cadogan Hall and Royal Festival Hall. As a chamber musician, Anna is a member of the Gorbanoff String Quartet. They have had the opportunity to work with numerous distinguished musicians such as Simon-Rowland Jones, Adrian Brendel, Bartosz Woroch as well as members of the Endellion, Dante and Heath quartets. The quartet has performed in venues such as the LSO St-Luke’s, Drapers’ Hall, Haberdashers’ Hall, Merchant Taylors’ Hall in London and they recently gave a recital in France in April 2018. The quartet’s diary is completed with educational concerts. Recent representations were given in Lark Hall and Yerbury Primary Schools in London and Domène in Isère (France). Anna has also performed with the ensemble Accord Parfait, and has performed in several festivals and chamber recitals in France. She is grateful for the support of the Guildhall School of Music & Drama. 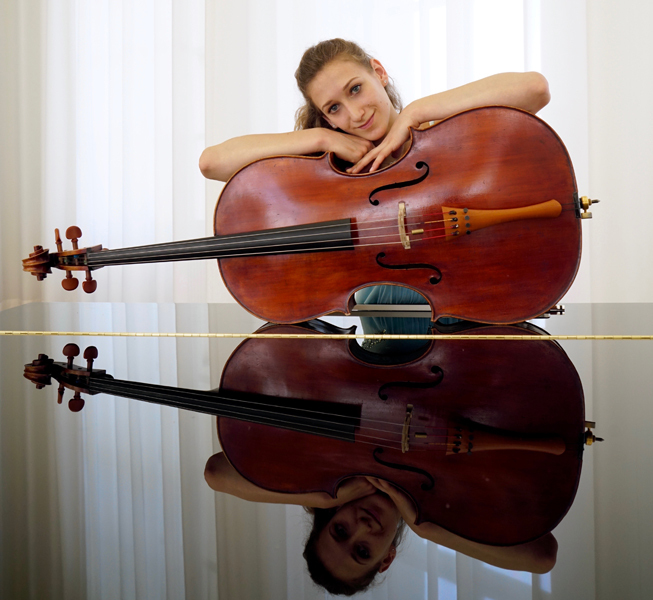 Anna plays on a German modern cello made by Krattenmacher from 2001.